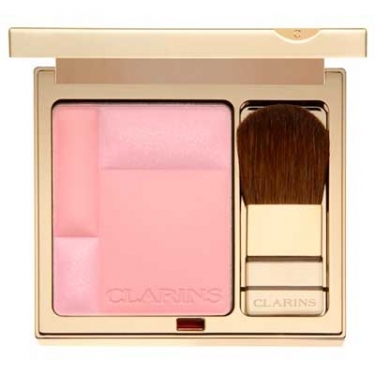 Clarins Blush Prodige is a lightweight powder blush that houses 6 different shades and finishes, leaving your skin comfortable and radiant. Its formula contains mineral pigments and plant extracts to ensure long-lasting hydration and natural look. Bambu powder provides a radiant, healthy glow. To flatter light skin tones, pinkish shades should be used while tanned or dark skins should apply earth yellow shades. When applying it you should not smile, because you can enhance expression lines.